Tell me something…..why do you believe white “Hispanics” are the only white ethnic group assigned a separate category and deemed a “minority?” Why not white Italian, German, Polish, French, etc? Aren’t they also “ethnic” groups? Didn’t they also originate from countries with distinct cultures? Perhaps you can enlighten me. These people are 'sort of different', but not really "distinctive". Their cultures are not all that special, either. 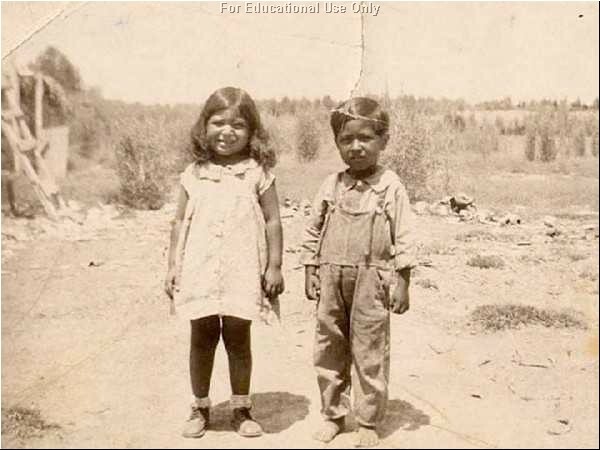 Most importantly, these people more-or-less abandoned their OWN cultures, when they assimilated into being Americans. That was THEIR choice...and their loss. They shouldn't whine about it now. Anyone who claims membership in a "distinctive group" will be treated as though he was "distinctive". And distinctive means 'different'. And 'different' means "not like other people". Once again Mac - I agree with one of your posts. Many minorities have conservative values and practices but vote and support the Democrat party solely based on the perceived racial make up of each party. I would vote for either candidate who's points of view I could agree with - told in 2 mins. or less. The War, The Economy, ILLEGAL Immigration, Energy, Corporate Accountability all in 10 mins. No pandering , no half answers, just the real thoughts of each candidate. Race doesn't have to be an issue. Exactly. And when 15 distinctive groups EACH make demands, which each group sees as more important than the demands of the other 14 groups, it's pretty hard to get anything done, even in peacetime, with a robust economy. Add a little 'crisis', or a little 'war', or a little 'natural disaster', and things could get VERY ugly. I call it trying to get a piece of the pie. And not the skinny one either, I nice, equal sized piece of this American apple pie. Do you mean equal or fair? I have never stated, nor remotely alluded, that Hispanics should not be entitled to a “voice” in this country. All “legal” citizens of this country are entitled to have their voices heard; and Hispanics are no exception. However, I take issue with the designation of “Hispanic” to identify vastly diverse racial groups; and to further have that designation receive “special” status. No other group of “immigrants” has received such treatment. Why can’t Mexican immigrants simply be considered Americans of Mexican descent, rather than Hispanic? The same is true for other immigrants from Latin America. When Italians, Germans, Poles, etc. immigrated to this country they became Americans of Italian, German, Polish descent. They didn’t receive a special label to identify them as being white European; nor is there a census category for White-Non-Italian, White-Non-German, or White-Non-Polish. Why are white “Hispanics” afforded “protected” status according to civil rights and labor laws, while other white immigrants are not? Why does a white “Hispanic” such as my ex (no offense if you're lurking), whose heritage is French/Italian, qualify for preferential treatment simply by virtue of having been born in Latin America; while others with identical heritage who happen to immigrate from Europe, do not receive such perks? Why the disparity? I’m sorry, but I simply don’t consider this fair. If they are all Caucasian, why should only those from Latin America, ergo “Hispanic” be treated differently? Perhaps you can enlighten me. Because we are not exclusively White! We are different than those European groups you mentioned, because we are not white Europeans like them! Anymore than Filipinos with their Spanish blood are white, or the many many African-Americans who have white blood in them are white(think Malcolm X), or the Vietnamese many of whom carry French blood in them. A small percentage of say Mexicans, are actually white. Less than 10 percent, some of those being recent European Immigrants. And an even smaller number of those who have immigrated here over the 60 years or so. From your posts, I have gathered that your Ex is of Argentine heritage..the whitest country in South America. There are many different racial groups that live in Central, South American And Mexico, but the vast majority of so called Hispanics that live in the Southwest(where Latinos have the strongest presence) are not White, or are as some like to designate them, Mestizo. BROWN. Even those who are light complected are not Spanish, but Mestizos because they have Indian blood in them. You can't gauge what percentage Spanish they are by the level of whiteness on their skin. Genetics are funny like that. Also, we have a long storied past in the this part of the country. While Mexican Americans were mostly beaten, African American and Filipino/Filipino American youth were also targeted. Thats our past in America. 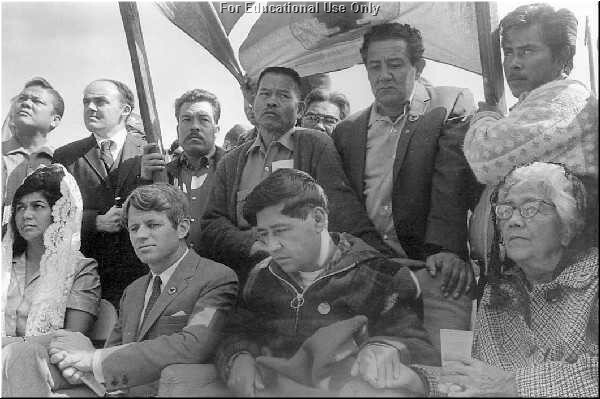 Then theres the present situation among many Chicanos. These are pictures from the early 90s by photographer Joseph Rodriguez. I was a kid back then, and I remember the drugs and gang situation being even more intense than it is today. A long post, but my attempt to "enlighten" you. Yes, our path here to America is a lot more like that of the Irish, Italians, or other European immigrants than that of the African-Americans. But somehow, the end result is us having many, if not most of the same issues affecting us as African-Americans(drugs, gangs, teen pregnacy, dropout rates, filling prisons, same neighborhoods, police profiling, etc etc). Why are we so different than the Irish, Italians, Spaniards, etc etc in this country? We didn't just start immigrating here right after them. Mexicans were in this country when those people were still immigrating here. Things have just been a little different for us than them. And classify us as white as much they want, the majority of this country doesn't consider Mexicans to be white, and the majority of us don't consider ourselves white. Notice I say Mexican, because I can't speak for Argentines, Puerto Ricans, Cubans, or any other group. I only know the experiences of Mexicans in California and the Southwest. And I know we, as a group, have been treated as second class citizens for many years in this country by having our issues neglected. And the problems that affect OUR community are needing to be addressed. Some of you very smugly say that our problems are our own fault, well we are trying to fix them. And to do that, we need an identiy, and unity to make demands to help us better our community. Last edited by amc760; 06-30-2008 at 01:44 AM..
yes, notice the word "equal". As in an equal sized piece? What do you suggest should be your identity? Don't you already have one? Will you insist that membership in your 'identity group' be mandatory? What about those who choose to identify themselves in other ways? Lastly, what 'demands' are you proposing to make, and who are you demanding them from? Does your 'identity group' propose making any concessions, in order to balance your demands? Any sort of 'give and take'? If so, what concessions do you see being made? Or will your program consist strictly of demands? What kind of 'help' would you like in 'bettering your community'? Who should provide this help....and are you willing to help THEM, in return? Just a few questions which your posts elicited, as I read them..
I’m afraid you missed my point, or perhaps I failed to elucidate. In any case, I was discussing the term “Hispanic” and my issue with this as a “race.” I also stated that there are individuals (Caucasians) being classified as a "minority" through the designation of “Hispanic” and I used my ex as an example. Sorry if I somehow gave you the impression that I was disparaging Mexicans, or comparing their plight to that of White Europeans.